It's been a while since I updated my blog. I just got back from vacation in Berlin with my girlfriend. We were there for a week and had a great time. It's an amazing city with loads of diversity. Modern, old, abandoned, worn down, high-tech, amazing architecture and street art and much more.. I'm also at the moment busy putting my darkroom together so there is a lot of work to be done. I will hopefully be giving you a report on Berlin and my darkroom progress soon. 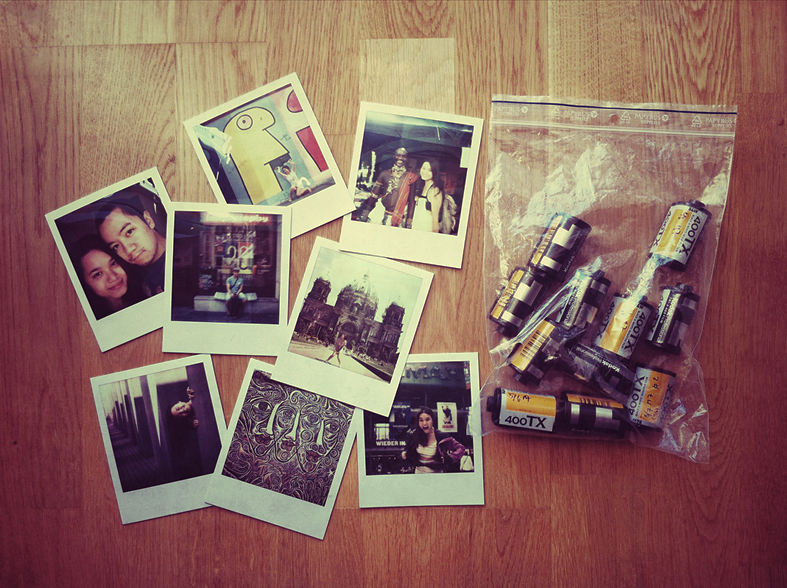 Some polaroids and film to be developed from Berlin.